It's been six years that I've known of Listen To Your Mother Shows. I have been involved in this live story telling event either as cast member, audience member, or production team since 2010. What I've witnessed is nothing short of a transformation in the people who both hear our stories, and tell our stories. Writing is different from talking. Community is fostered when we hear and learn of the lives of our neighbors. Strength can be found in shared laughter when we support the experience of another. Healing can begin from being present for another's words. We've leaned across cups of coffee and confided moments from our lives to friends. Our words then are spoken, they trip, sometimes glide, off our tongues. But when we write, we soul search. Our words are carefully chosen, our lines read again and yet again. And with each time that we go back and strike through, or illustrate once more, highlight and reinforce yet again, we grow stronger. When Milwaukee Listen To Your Mother has held its auditions over the past three years, we never knew the stories we would hear. Auditionees enter our reserved room for their reading slot, and we as producers listen. We put our pens and pencils down, and focus. We hear the words, we become aware of the voice when it changes, we hear the rush to get through some parts, and we sense the electricity in passages that sum up everything they hope to convey. Writing is participation in your life. Our lives, when we take to penning them, have us stepping out and then back in, to reflect and explain, who we are and why we've chosen to write about the experience that we have. Hearing these stories from the people that come read to us, confirms, there is no one else like us. Our words celebrate that. Our pen-written and key-stroked stories are our experiences, our reflexes, our reactions. Our Us. We go back in our minds and hearts, and we live through it once more, to bring that moment full and shining, to a communal experience. We write, and in that act, we experience the moment again. But this time, when we share our words, we are not alone. 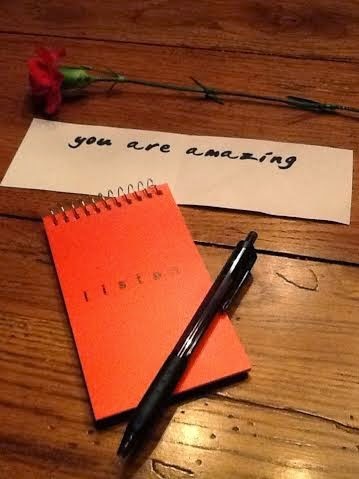 Our Listen To Your Mother auditionees come to us, they bring an offering of themselves. That always overwhelms me. We gather, we share, we listen, we hear. There is a stillness in the process that doesn't come from quiet. After someone reads, we are silent. We have heard what they have given to us. And we honor that with a moment intent on them. It's how we say thank you. I wish everyone in the world had the opportunity of five minutes to be heard, uninterrupted and without questions. Just them, their story, their life. And our silence. Telling our stories transforms us. We stand taller and see ourselves as someone worth sitting down and writing about. Our readers walk in the door, shaking and cautious, exuberant and eager, bursting and ready. No matter the way, they share the same motive at their core, the chance to be heard. We hope we left you feeling that way, Milwaukee auditionees: heard. And affirmed. Writing is bearing witness to life. Come witness this power at Milwaukee'sListen To Your Mother Show, April 26. Details regarding tickets here. Thank you, Milwaukee, for your Listen To Your Mother stories. Your stories touched us, moved us, made us laugh, made us smile, and made us part of your world. Your aching honesty, brave vulnerability, and courageous sharing will always leave us amazed. that is probably the best written promotion i have read in a very long time...and it conveys a lot about what writing really is ...and what community is...and what care is...as well..
Oh, my friend. I believe in the power of these shows. I wish everyone in the world had FIVE MINUTES to be listened to and validated, without judgment or interruption. What a wonderful testament to LTYM. I so wish I could make it to one of the shows. For now, I content myself with watching all the videos.